Tyrone lifted the McKenna Cup after a 16 points to 14 victory over Armagh in a fraught final on Saturday. 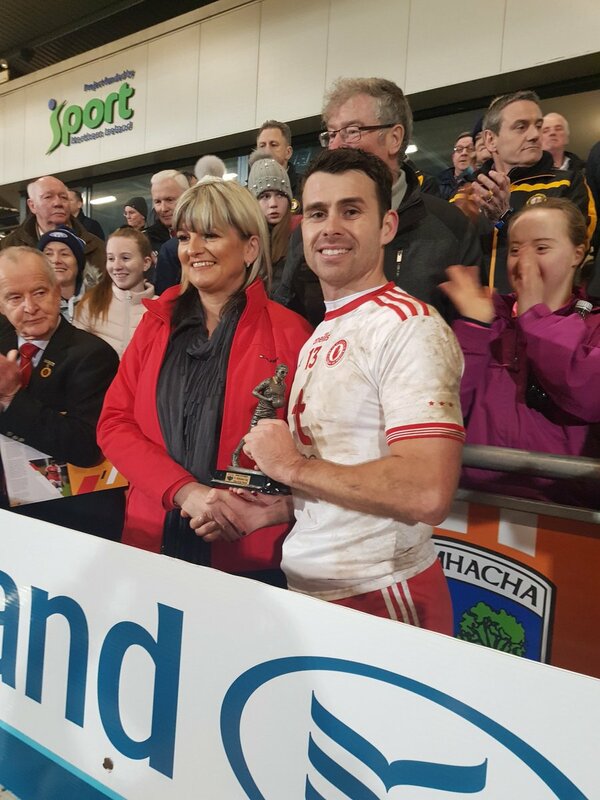 Darren McCurry hit nine points in winning the 'man of the match' award for Tyrone. Darren McCurry said it was a great game. “Armagh pushed us right to the end. It was a physical game and that’s what you need going into the league there. Tyrone's Niall Sludden said the match at the Athletic Grounds was a tight game. “You could see how ‘up for it’ both teams were so it’s great to be bringing it back. "We didn’t get it easy Armagh just didn’t give up there, but we got there in the end. “There were a few nervy moments now." Armagh were left to rue a late penalty miss which would have given them the lead as Rory Grugan's effort clipped off the crossbar.